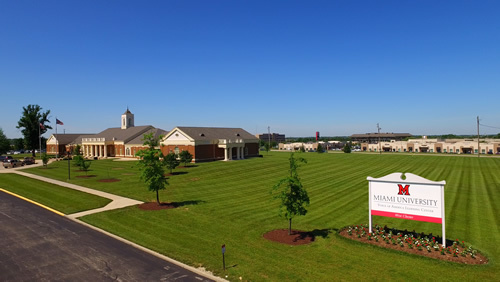 If you choose to pursue your MBA in the evening while you continue to work, Miami’s Farmer School Professional MBA Program located in West Chester, gives you a prestigious education in business, while delivering every convenience to meet the demands of your schedule. Our evening classes are specifically designed for working professionals. Fast track option – you can complete in two years or if you need a slower pace take up to (5) years total! Condensed semesters provide a generous 2 month break over the holidays, as well as time between each semester. 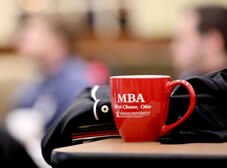 Specialized coursework in finance, marketing, or a blended concentration. Limited prerequisites that allow you to begin the core courses earlier so you can finish within two years. Case based instruction to enhance the classroom experience where professionals share knowledge and gain perspective from others. This approach cultivates cross-functional decision making required for positions of broad responsibility. Emphasis on interaction with small class sizes to allow students to work in teams and discuss what strategies work best within their organization and what impact those decisions have. Complimentary dinner each night with classmates and faculty to network with other business professionals while building community. High quality instruction from Oxford based faculty and business executives who are not only experts in their field, but will bring others from the business community into the classroom for discussions. Personalized attention…staff is available at all times at the center to service your needs, from assistance with registration to academic advising to any question you might have during your time with us. Services are designed to help you balance work, school, and home life. Our central location in West Chester, Ohio is easily accessible off of I-75 and Liberty Way exit. Bundled tuition that includes books and course materials provided to you at the center.